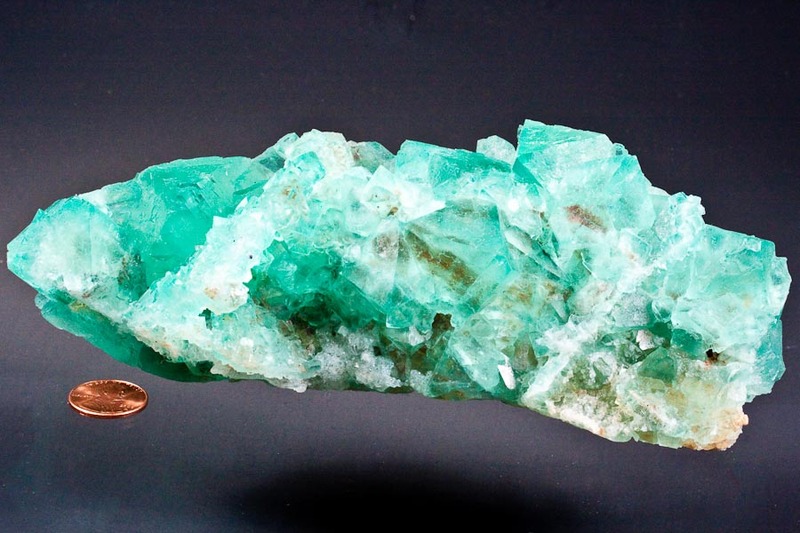 Comment: Translucent, sharp crystals to 3 cm on all sides make this a dramatic specimen, from new finds here in South Africa. 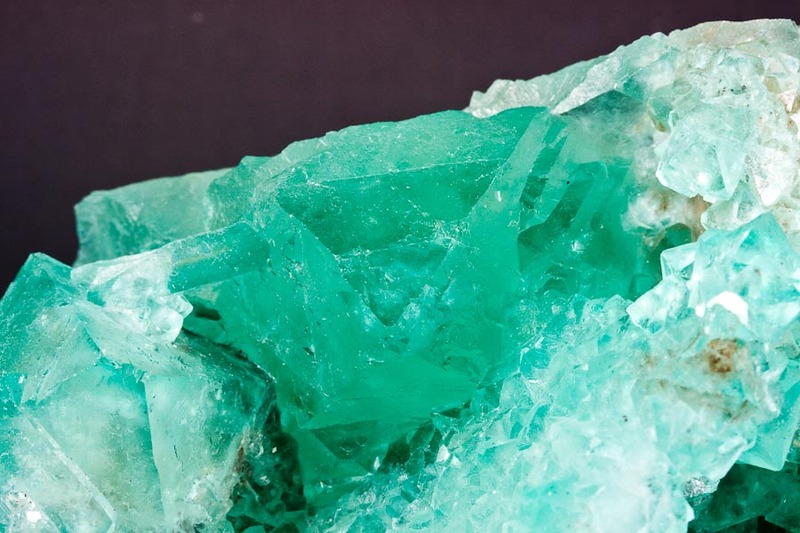 Often these specimens go for a super premium - as transparent green octohedral fluorite is just NOT that common. This large piece I was fortunate enough to buy as a fixerupper and so can afford to risk at Auction. It is BIG, intensely colored, and has top lustre and clarity for the find. This large plate is nearly pristine, with just a few unobtrusive cleaved crystals, but generally in very good condition overall and complete all around , 360 degrees, except for a few minor crystals.